This EP shouldn’t be so relaxing to listen to as it is. It’s a fairly quick set of eight songs that are super sonically-busy – loops of odd rhythms, muddy time signatures, and strange timbres abound – but Black Blizzard is the kind of album that makes you want to shut your eyes while you listen to it. Even as vocal samples on the first track, “Solar, So Low,” tell you “you don’t have to listen to this, listen to something else,” it’s hard not to get sucked in. Other songs are tricky in different ways. Upon my first listen to “Solar Flares,” I thought my tape player was cutting out on me, as the first layer kept dropping in and out (turns out it’s just being used to set a sort of tempo for the rest of the track). “Palm Freaks” pairs a really nice groove with some spooky sax lines before it brings in a noisy drum and synth duet – this sudden shift in texture is perhaps my favorite moment of the whole album. 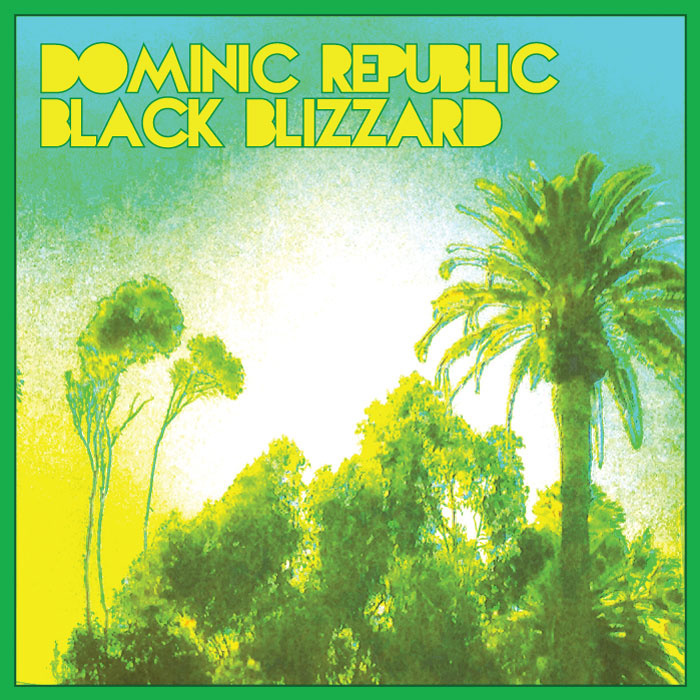 When listening to this, it was difficult not to make some comparisons to Oneohtrix Point Never, but Dominic Republic is definitely its own sound with a different mood – even still, I’d be surprised if there weren’t some influence. I didn’t really know what I was getting myself into when I first got this album, but Black Blizzard was definitely one of the fresher and more unique albums I’ve heard in quite some time.